It was another Sunday visit to the Point for cheap gas and a brief check of activity at Lighthouse Marine Park. 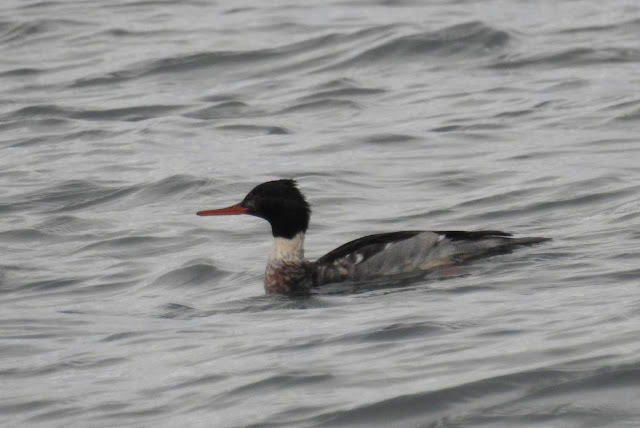 The first sightings were the familiar Red-breasted Mergansers. Normally I only see females here, but today there was a male quite close to shore. 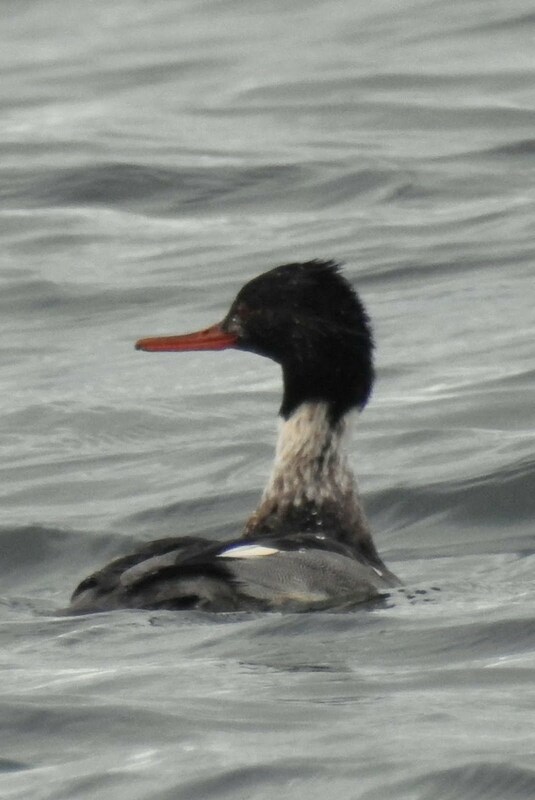 The long thin bill with a slight upturn as seen below. 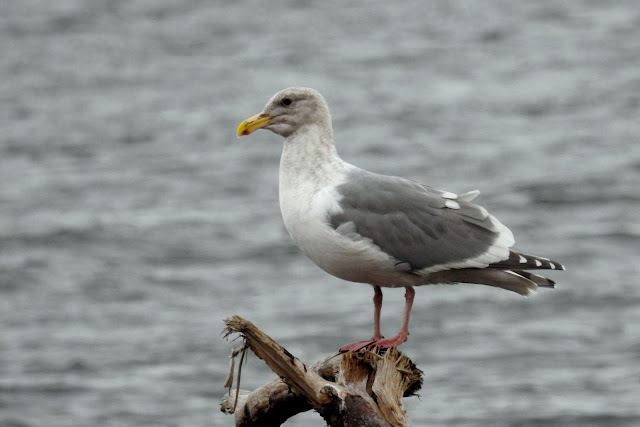 You can tell there's not much going on when I start taking photos of Glaucous-winged Gulls, our most common species on the west coast. 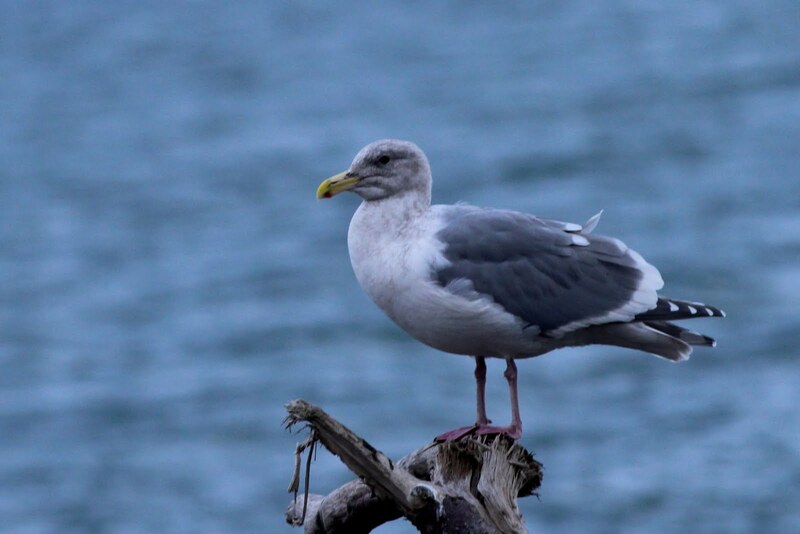 I decided to take a photo with each of my cameras as this gull posed for me nearby. My Canon T4i saw it differently and more closely resembled what I saw with my eyes. To be fair, I'm using the bord-watching setting with the Nikon, and it may be affecting the colour balance. 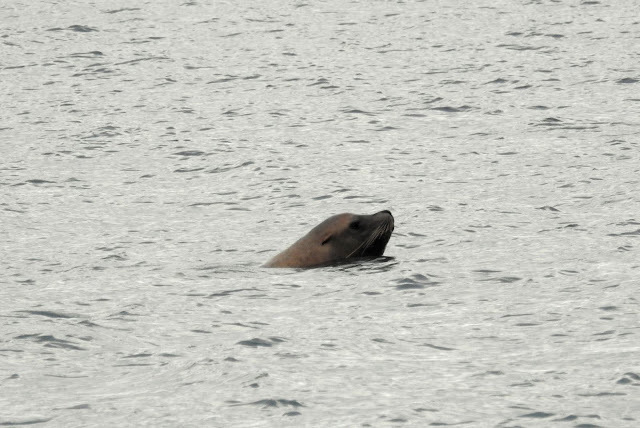 As I was leaving I spotted a sea lion swimming by quite close to shore. This is where the Nikon shines as i was able to get an in-focus shot from quite a distance. With not much else to see, I returned to Canada and headed home.